Playing a practice round before a competition is very important. The intent is to understand the course better and to improve your course management once the competition starts. Through the years, I have played many practice rounds, but until recently, I never really practiced. I guess I am slow learner sometimes because in years past, my practice round was just another round of golf. I would play the course, new or old, like I would any other course and not really pay attention to my surroundings. This foolish approach to preparation actually cost me a tournament or two through the years. Fortunately, maturity and experience changed my approach to a practice round and I can honestly say I feel more confident on day one as I approach the first tee. 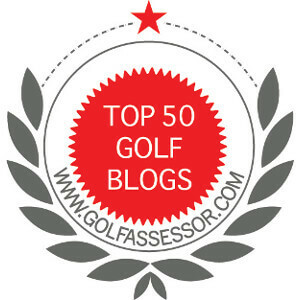 Understanding there is a purpose of the practice round and it is very important to shooting low golf scores. It helps create the correct mindset, visualizing where to play shots and to understand how to avoid the hazards of the course. Practice rounds, if used correctly, will save strokes in the most unlikely areas. Over the last 5 years or so, I have developed a methodical approach to rounds. It was honed over many hours of thought, trial and error, and realizing that I actually needed to take advantage of the time allotted to practice on the course. This method works for me, but I think it is worth sharing with you – The Grateful Golfer Community. Never keep score. By never keeping score, I eliminate that extra sense of pressure of playing well before the tournament. By throwing my scorecard away, it also helps me focus on practicing extra shots without fear of penalty. I mark a score card. The first score card is to mark down each club I use off the tee. Sometimes, I will take extra tee shots to determine whether I need a driver, 3-w00d, or hybrid to play safe and to the right distance for my next shot. I also record the best iron for the center of the green for my approach shots. This allows me understand the first two shots on every hole, which will set me up for success (given both shots are hit where intended). I play several balls on some greens. The slope of some greens is very difficult. So I will play a ball from above the slope, below the slope and across the slope in both directions. And now, I will ensure to play to the ‘pro side‘ of the hole! I pace off distances. I pace off distances to and from hazards, distances between objects (trees, rocks, out-of-bounds). I pace of the width of the fringe and some distances of ridges on the green. I visualize the course set up. I think of where I need to hit my approach shots in relation the pin. What side of the fairway give me the best angle into the pin. I think of the easiest and most difficult pin placements. I focus on the locations of green side bunkers and water hazards. I actually take my time to look at the course. I try to record something in all 5 areas. I realize it is quite a bit to take in during one practice round, but after you give it a try a couple of times, you will be surprised at how quickly you can achieve your goals. As I practice during the practice round, I like to ensure I am comfortable with the course when I am finished. I normally takes me about 4-4.5 hours to prepare for the competitive event the next day. (I am always aware of my position when playing and let anyone through who I might be holding up) By having a plan, I feel mentally, physically and emotionally ready for competition. Do you practice or play during your practice rounds? ← Putting – Line or Speed? Great post and advice. Like you, I was a bit of a slow learner when it came to practice rounds before a tournament, but am starting to get better and getting the most out of them. Approaching a practice round the right way can definitely give you a lot of confidence heading in. Thanks. It sure does. I wish I had started being more focused on my game years ago, but that is the mental side of things! Still growing in that area. Jim your approach is very professional; like it! I haven’t had time to play practice rounds and mostly just play on the weekends. When I used to compete more regularly, it was usually at events on my home course and I pretty much knew every nook and cranny so I just went out and played during practice rounds. To the extent that I can get out by myself, I often like to go out early on my executive nine on the weekend and play (without keeping score) and work on all different facets of short game. This is my favorite form of practice. Thanks very much. I generally play 2 or 3 practice rounds a year. But like you, I play more than practice. I might try playing with only 4 clubs for fun this year. It will change my course management processes a fair bit. That might be good practice as well.